RCPW carries genuine Snapper parts for lawn mowers, rear engine riders, and other power equipment, including snow blowers. Whether you're looking for original Snapper mower parts, or components from an aftermarket brand, we have what you need. Not sure what you're looking for? Browse all genuine Snapper parts here. 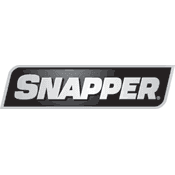 We make it easy for you to find the Snapper mower parts you're looking for. Simply enter the part number, if you know it, or we'll help you figure it out. Alternatively, select the type of Snapper replacement part you're looking for, whether it's mower blades or any other type of part across dozens of categories, and start browsing. From Ball Joints to Fuel Lines, Air Filters to Spark Plugs, and everything in between, we have you covered. Call us at 800.937.7279 today, and we'll be happy to answer any questions or help you get started with the genuine Snapper lawn mower parts, which will help you get the job done.